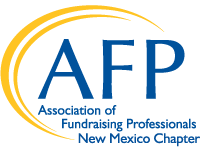 The AFP Foundation for Philanthropy is proud to offer the Chamberlain Scholarship Program for the 2019 International Conference on Fundraising to be held in San Antonio, TX from March 31 - April 2, 2019. This program is designed to help individuals serving nonprofit organizations develop their knowledge and skill in fundraising. The scholarship recipient will receive complimentary registration to the AFP International Conference (less a $10 processing fee). Apply online here. Applications are due by October 5, 2018.